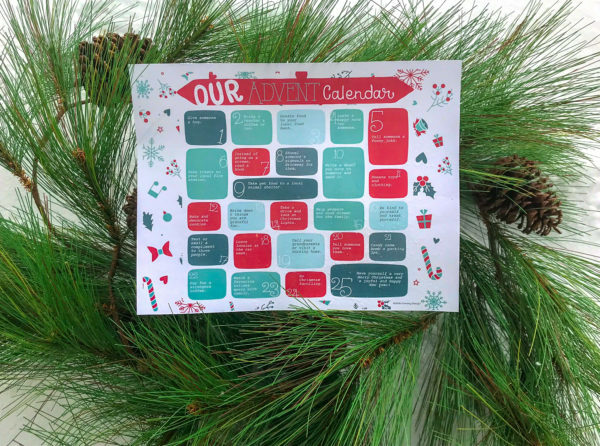 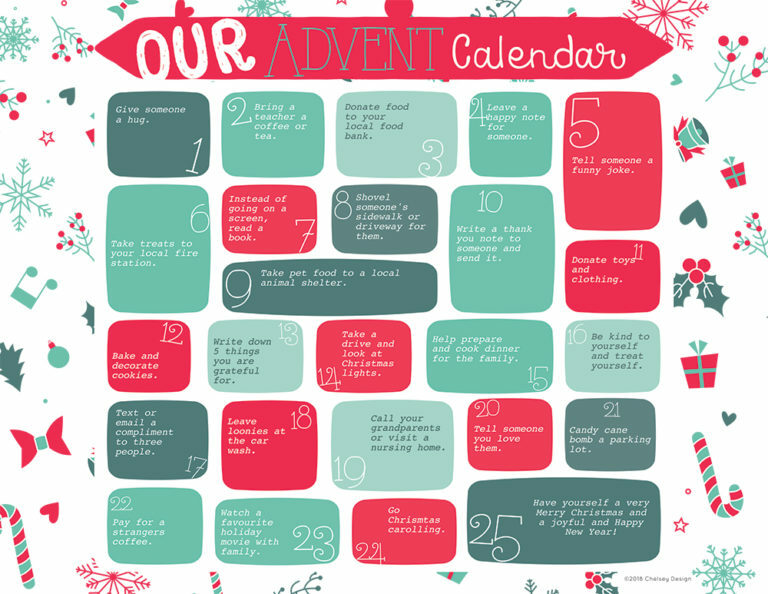 Download and fill in this totally customizable Advent Calendar! This colourful calendar has been created as a fillable pdf so you can open in either Adobe Acrobat or Reader and easily type and fill in the spaces. Then save and print yourself! 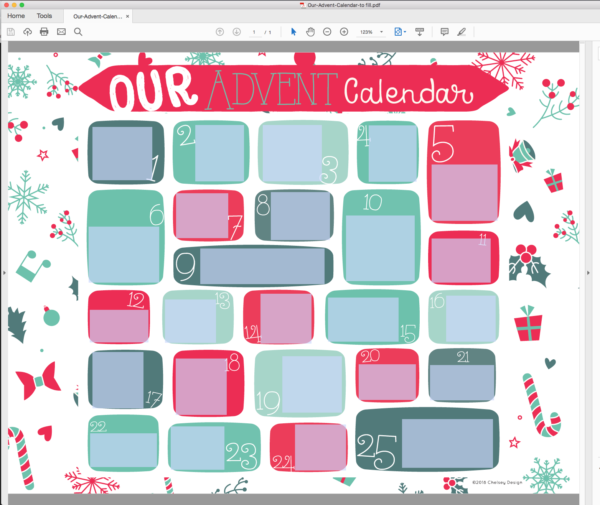 You can get Adobe Reader here!